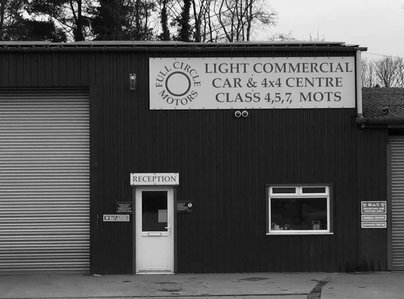 Full Circle Motors is a family run business which was established by Richard May in 1992. Within this time, we've built a reputation for being an honest, dependable & friendly garage that offers quality repairs & services to our customers'. We serve Ivybridge including surrounding areas for class 4, 5 and 7 MOT's, service & repair of all makes & models of vehicles including light commercials. Full Circle Motors are air conditioning specialists. We offer air conditioning diagnostics, repairs and air conditioning re-gases to cars, vans & light commercials. We've also invested in the latest state of the art laser car key cutter & coding equipment. No more having to send a key away for reprogramming, we are able to laser cut a new key and re-code car keys onsite!. Over the past few months I have driven to Ivybridge (from Kent) to visit family and on 3 occasions have had a problem with my car (change you car I hear you say!). Full Circle was recommended by my brother and on each occasion I have turned up unannounced, I have been greeted by Richard, who has been very understanding. He arranged for the car to be looked at (on 2 occasions on the same day) and resolved the issues, so I could get back on the road. One the last occasions the issue (electronic problem and flat battery) seemed to have resolved itself and Richard did not charge for the time his mechanic spent looking for the cause. He has a great sense of humour and 'can do' attitude and highly recommend him to anyone local or anyone who finds themselves passing through Ivybridge with a car problem. I have used Full Circle for the last three years, in this time I have found Richard, Nick and the other guys in the garage to be very helpful, friendly and approachable, whenever I have had a problem they have been able to fit the car in to be dealt with very quickly. They are a very valuable garage to have locally to were I live. They have always been very helpful and I would highly recommend them to anyone. Used for 21 years and won't go anywhere else. We have been using Richard's services for 21 years. Though we have recently moved 30 miles away, Full Circle is still our "local" garage. We have always been delighted with the great service. On countless occasions, when we have been in "trouble" with our cars, over the years Richard has always been on hand with a speedy response keeping us on the road. We have no hesitation at all in recommending Richard, Nick and the team. As a family we have had 8 vehicles in their care over the years. We won't be going anywhere else as long as this true gem of a business continues. I'm very happy with Richard from Full circle motors, he has worked on all my cars, he is amazing and has done so much work for my family. Can not fault him. He recently replaced my clutch, he was very good and it turned out to be cheaper than expected. He services all my cars, and recently changed my tyres, I'm always very please with his work and he is always very fast.